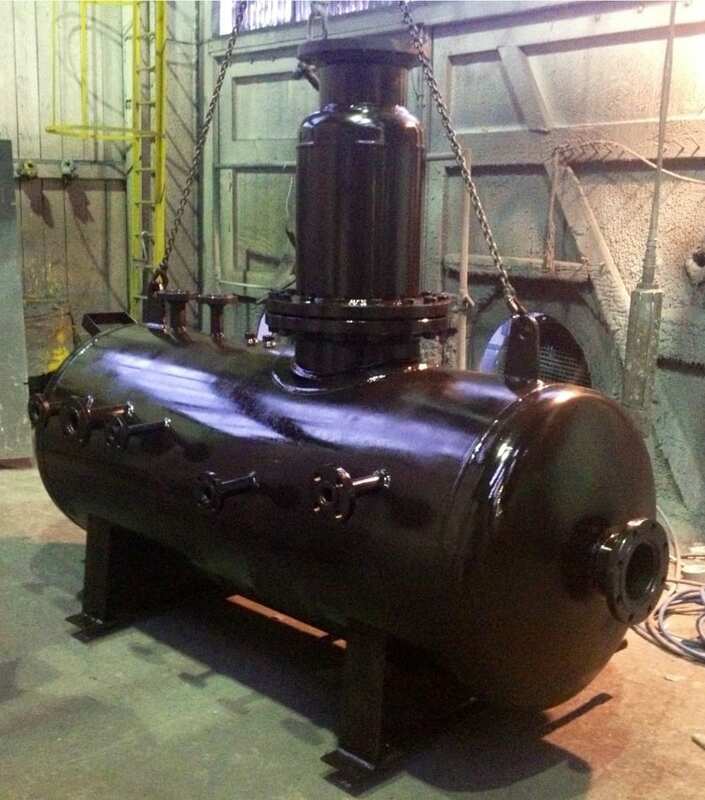 Steam Flash Tank built to PD5500 Category 3. CE marked for use in Europe and UK with Lloyds Register for third party approval. This steam vessel collects water to return to the feed and allows dry steam to be returned the system. 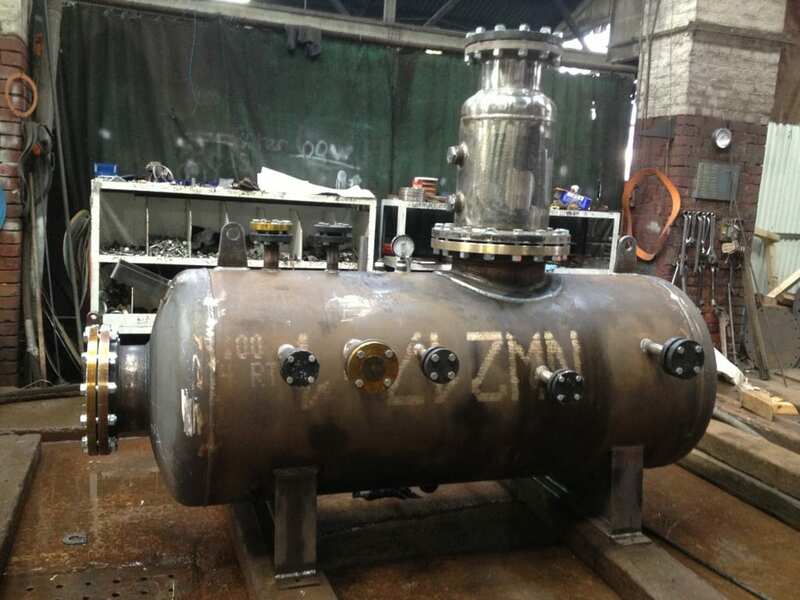 Built with pressure vessel grade steel P265GH with 3.2 Certs, coded welders to EN287 and supplied with declaration of conformity, notified body test certification and CE marking through our PED approved works.